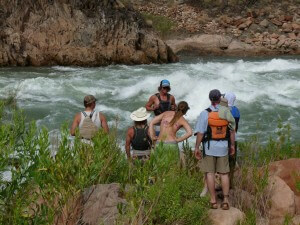 How many rapids will I encounter on my Grand Canyon raft trip? LOTS! 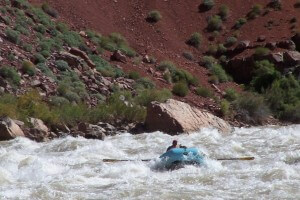 Grand Canyon Whitewater rafts always launch from Lee’s Ferry which marks river mile 0 and the beginning of the Grand Canyon. All of our rafts then go at least 225 miles downstream, some even a bit farther to another take-out point called Pearce Ferry. 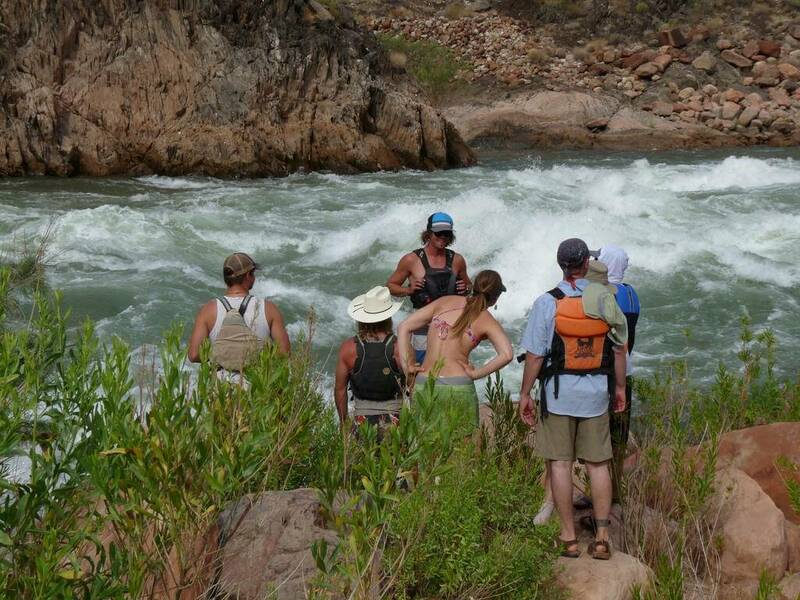 Along the way, the Colorado River boasts over 80 big water rapids! Below is a list of the rapids by river mile. Enjoy! 18-foot oar raft in a Grand Canyon rapid. GCW boatmen scout Crystal Rapid before running it.